Planning a party can be really stressful. 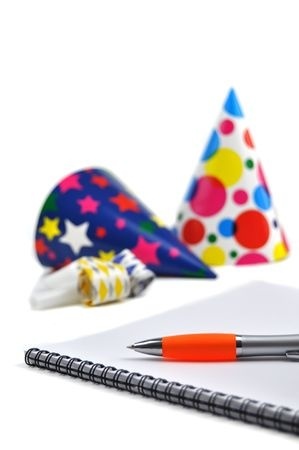 There are so many things to remember that it can be difficult to ensure that you’ve covered every detail or accounted for everything you may need to make sure your party is one people never want to forget. Guarantee that your party is one that guests will talk about for years to come by taking advantage of Metro Yacht Charters’ event planning services! Our event coordinator will make sure you have everything you need to make your party the event of the year. Need music? We can coordinate DJ services that will keep your guests dancing throughout the night or schedule a live band to play everything from jazz to Motown to Top 40 and even classical music. Not looking for music? We’ve got other entertainments as well, including magicians and caricaturists to charm the imagination, or tour guides and A/V equipment rentals that can provide more visual highlights for your guests. Want to enjoy your party but also want to be able to relive it for it for years to come? We offer photography and videography services for your party or event. We also offer photobooths for those looking to create special memories. We also offer full decoration capabilities that will make your event complete. If you’re throwing a birthday party, you have to have balloons. If you’re hosting a wedding reception, our elegant floral arrangements will create the perfect finishing touches. Metro Yacht Charters is a full-service private yacht charter company in New York City specializing in event planning. No matter what kind of event you’re planning, our private yacht charters are available for small parties or huge occasions. Whatever needs you have, we will make sure your next event goes off without a hitch. For more information on our yacht charters or other services, call us today at 646-780-9693.